As the silver nano particles come in contact with the bacteria, they adhere to the cell wall and cell membrane. Once bound, some of the silver passes through to the inside, and interacts with phosphate-containing compounds like DNA and RNA, while another portion adheres to the sulfur-containing proteins on the membrane.The silver-sulfur interactions at the membrane cause the cell wall to undergo structural changes, like the formation of pits and pores. Through these pores, cellular components are released into the extracellular fluid, simply due to the osmotic difference. Within the cell, the integration of silver creates a low molecular weight region where the DNA then condenses.Having DNA in a condensed state inhibits the cell’s replication proteins contact with the DNA. Thus the introduction of silver nanoparticles inhibits replication and is sufficient to cause the death of the cell. 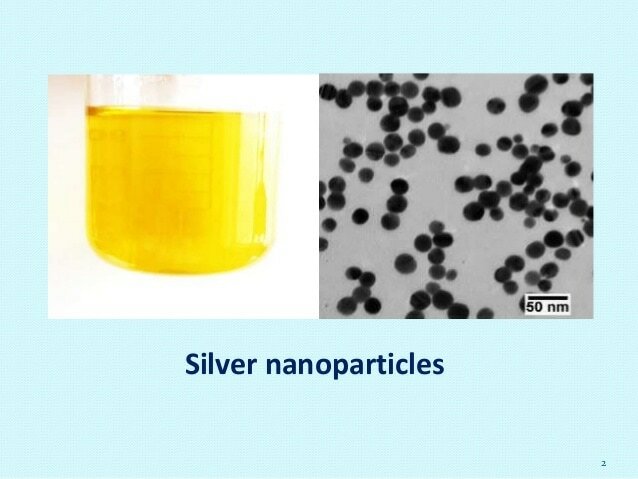 Further increasing their effect, when silver comes in contact with fluids, it tends to ionize which increases the nanoparticles bactericidal activity. This has been correlated to the suppression of enzymes and inhibited expression of proteins that relate to the cell’s ability to produce ATP. Although it varies for every type of cell proposed, as their cell membrane composition varies greatly, It has been seen that in general, silver nano particles with an average size of 10 nm or less show electronic effects that greatly increase their bactericidal activity. This could also be partly due to the fact that as particle size decreases, reactivity increases due to the surface area to volume ratio increasing.